A while back I read up on intermittent fasting and juicing around the same time. I came up with a culmination of the two. Before we go to far, I want to give a sense of the success that I have had. I have used this diet before to lose about 40 lbs in 2 months. A couple of years later, I am on it again. I’ve only been on it now for 11 days, and I am down more than 15 lbs. I don’t expect to have continued loss at that rate, but I do expect that I will continue to have significant healthy loss until I get to my target/goal weight. I didn’t want to waste all of the good stuff that you throw away with juicing, and I have a Vita-Mix. So, I thought I would modify it a little. I also wanted to make sure that I wasn’t neglecting important things from my diet (e.g. proteins, fats, vitamins, etc.). Given my concerns, I came up with a smoothie that covers (almost) all of those problems. And it goes a little something like this… Hit it! 1 to 1-½ c (8 – 12 oz.) yogurt (full fat, not low-far or no-fat) — get some dairy and dairy fat. top it off with frozen fruit of your choosing — I usually use the big bags of frozen fruit from the super market (e.g. strawberries, mango, pineapple, and peach), but sometimes I use blueberries, a berry mix, or some other concoction. 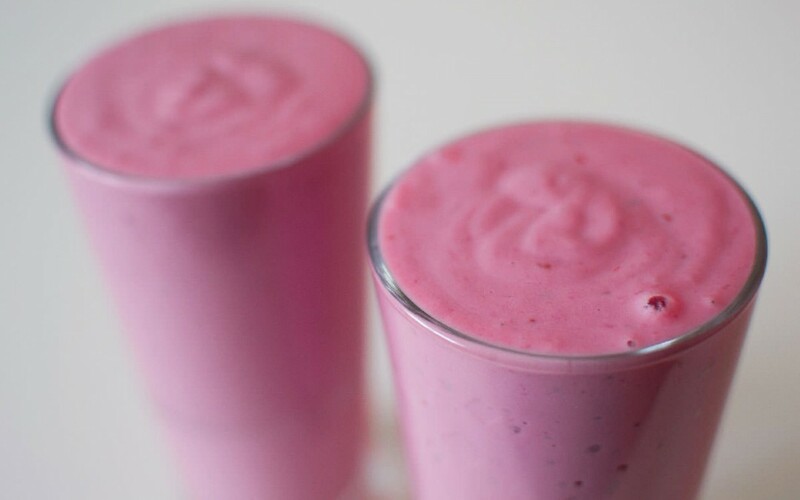 Your smoothie should be around 32 oz. If your blender isn’t strong enough to deal with the frozen fruit, you can nuke it, use more fresh fruit, or add some warm water. Additionally, I have 1 – 4 eggs to ensure sufficient protein in my diet. While I have added raw eggs to my smoothie (yuck! ), I usually have them boiled along with my smoothie. Except for drinks—like water, coffee, etc.—that sums up the calories that I get most days (excepting Sundays and days that I substitute some other meat for my eggs).